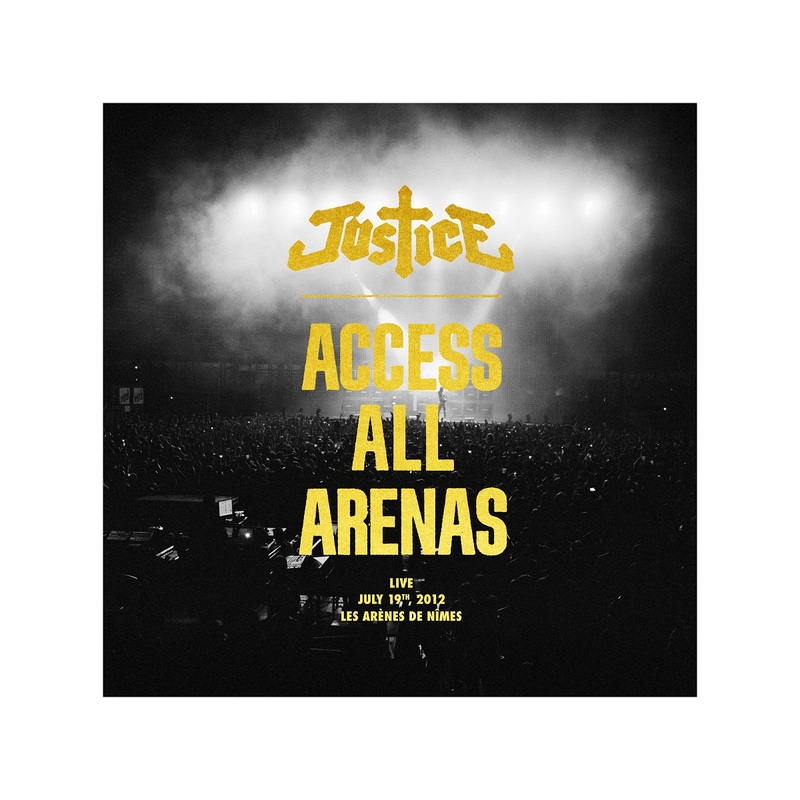 Justice is set to release Access All Arenas, a recording of their show in the ‘Nîmes Arenas’ last July, which was part of their yearlong worldwide tour. The album revisits their years of existence so far, giving us a taste of the wild effervescence and the energy of their lives. 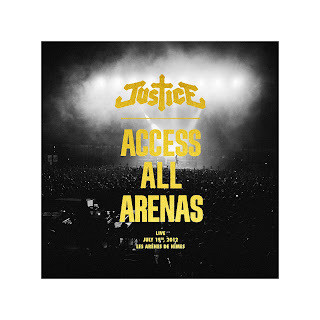 Access all Arenas is available on Friday 10 May. Ten years ago, the track We Are Your Friends reached our ears and pushed a young French duo consisting of Gaspard Augé and Xavier de Rosnay aka ‘Justice’ to the front of the electronic music scene. The duo was signed by Pedro Winter, owner of Ed Banger Records. Their debut record that followed, ✝, was an album of condensed jerky electro, disco reminiscences and heavy metal energy, with unstoppable tunes like D.A.N.C.E, Stress and Phantom, and its videos, allowed Justice to follow the 90’s French Touch and its filtered disco loop. In 2012, Justice release their sophomore album Audio, Video, Disco using the combined musical vocabulary of rock and electronic to conjure a laid back, agricultural effort existing on the outer fringes of pop. Audio, Video, Disco was created in the duo’s home studio, with all instrumentation performed by the group themselves. Since the release of their debut album in 2007, Justice have toured tirelessly, playing festivals and concerts all around the globe, from Australia (playing Parklife in both 2007 and 2012) to the United States, Europe and South America. The duo has played main stages at Coachella, Lollapalooza, Les Eurockéennes, Les Vieilles Charrues. As well as headlining all of the major Electronic Music Festivals, Ultra Music Festival, Sonar, and Melt. The duo developed at a young age, a powerful stage design that they have polished and magnified throughout the years. Employing a wall of LED-filled Marshall amps, among other one-of-a-kind eccentricities, Justice are said to have one of the most ambitiously compelling stage productions today. Their show is a one and a half hour sonic and visual roller coaster.